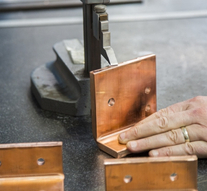 At Metelec, we have a range of CW111C (CuNi2Si) Copper Nickel Silicon. 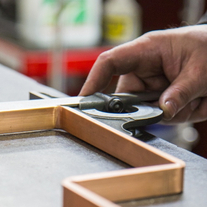 All of our CW111C (CuNi2Si) Copper Nickel Silicon is manufactured in Europe. 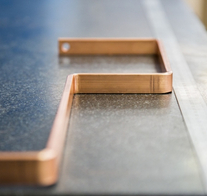 This is material has ultimate super strength copper nickel silicon alloy, specially developed to provide a unique blend of mechanical and physical properties for high performance engineering. It is a precipitation hardened, multipurpose alloy exhibiting high strength characteristics, together with excellent wear properties. The superb strength characteristics are derived from a finely dispersed precipitate of Ni2Si developed from a closely controlled manufacturing process. It offers excellent strength combined with excellent wear and corrosion resistance and very good electrical and thermal conductivities. 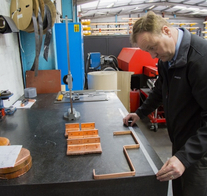 With its combination of mechanical and physical properties CW111C (CuNi2Si) Copper Nickel Silicon has proven itself by providing a more cost effective and technically superior option to alternative materials. Borehole tools, shear pins, hydraulic valve bodies, pump components and ball valves, mechanical seals, components requiring high cryogenic properties, spark resistance and low magnetic permeability. Non magnetic tooling, plastic mould tooling, friction pads, fibre optic connectors. Electrical: current-carrying electrical components such as slip rings, squirrel cages, springs, rotary switch contacts, contact blades, short-circuit rings, heavy duty switchgear. Automotive: Valve guides, bushes, valve seats etc.